Sheppey Wheels is our Community Transport Scheme and works under the umbrella of Sheppey Matters. 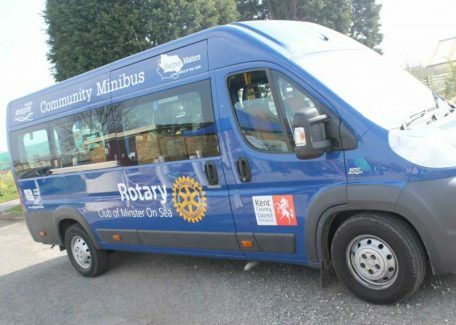 We offer a memebership scheme to community groups and not for profit organisations to enable access to our fleet of 3 vehicles. You can find our office, located within Sheppey HLC, in Sheerness on the Isle of Sheppey, Kent. Sheppey Wheels offer day trips in and around of Kent and into London, private hire is also available to Community Groups members. Our buses are available at affordable prices, whilst also ensuring that Sheppey Wheels continues to be self-sustaining by providing this well needed low cost facility to the Island. The Sheppey Wheels project has been established for over ten years. Sheppey Wheels started as an outreach project in 2006 with the aim of providing a much needed transport link at a reasonable price for the community and voluntary sector. We have built on the communities’ needs year after year receiving such a positive response to our low cost, fully accessible service with friendly volunteer drivers. Sheppey Wheels has grown to a fleet of three vehicles. The two buses we have that have full disabled access are a Silver Ducato 17 seat minibus, a blue Fiat Duccato 11 seater minibus and a Silver Ford Tourneo 8 seater used specifically for children with additional needs. 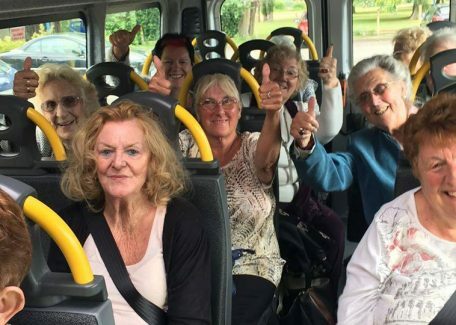 These day trips offer residents of the Isle of Sheppey the opportunity to travel in safe affordable transport enabling socialisation and activities they may not be able to otherwise have access to.